I couldn’t help myself. As my friend’s rambling came to a halt, I laughed at her. “Well, I’m glad you’re not asking me for much,” I said. My friend had just learned that she was expected to host her in-laws (parents-in-law and sister-in-law and her husband) for Mother’s Day, and unfortunately while my friend has many wonderful skills, she really does not like to cook – at all! Hence, the frantic SOS phone call to me. Fortunately, I had a perfect solution to offer my friend: Quiche. 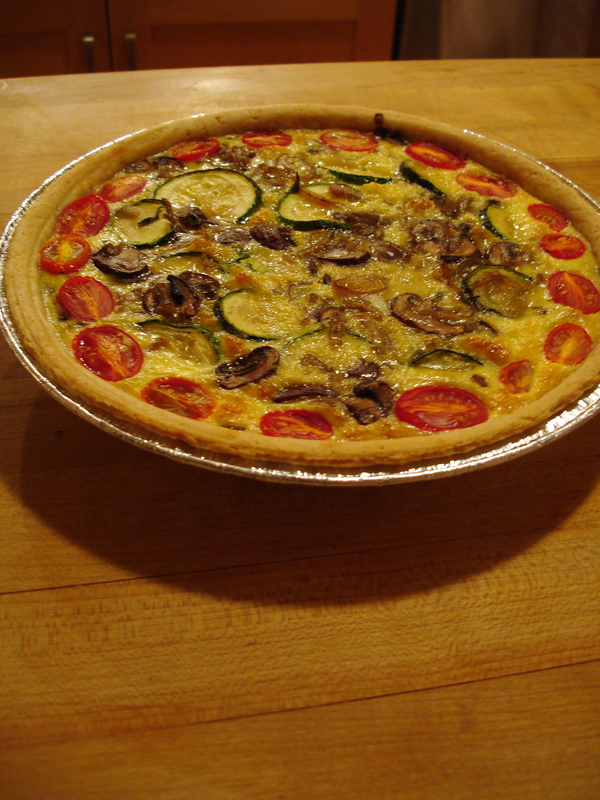 Quiche is a wonderful dish for company. It’s quick and easy to make, but looks elegant and is wonderfully tasty. You can also use up leftovers from your fridge to make it, and it’s incredibly versatile. You can adapt it for many food allergies, and you can even make it for folks who have egg allergies or are vegan, provided they have no soy allergies. As well, you can make up two, three or four different types in your oven at the same time, depending on the size of your oven.